This Cecilio 3Series alto saxophone is perfect for any intermediate to advanced level musicians. Every saxophone is play tested at the factory and retested at our Los Angeles distribution center to ensure that our high quality standards are met. This is why thousands of instructors have approved these instruments. 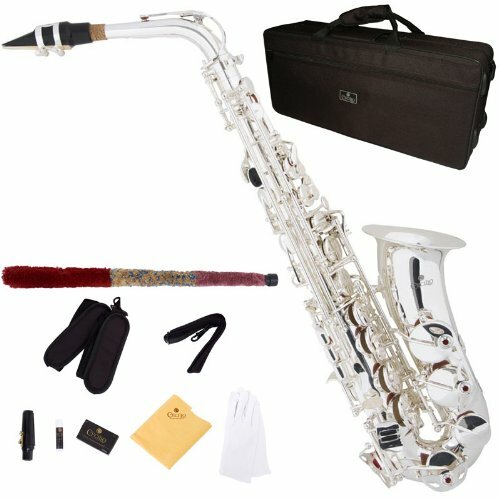 It comes with a plush-lined nylon covered hard shell case with backpack straps (making it convenience to carry to school or band practice), neck strap, 4C mouthpiece with ligature and cap, a box of 10 extra reeds (size 2.5"), a soft cleaning cloth & rod, and a pair of white gloves.